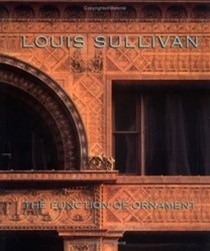 “This is a catalogue of a retrospective on the renowned American architect Louis Sullivan shown at the Chicago Historical Society, Cooper-Hewitt Museum and The St. Louis Art Museum. Contemporary architects have rediscovered the role of ornament as a humanizing element in their structures. No one practiced the art of ornamentation better than Sullivan, one of the earliest and most significant designers of the skyscraper. 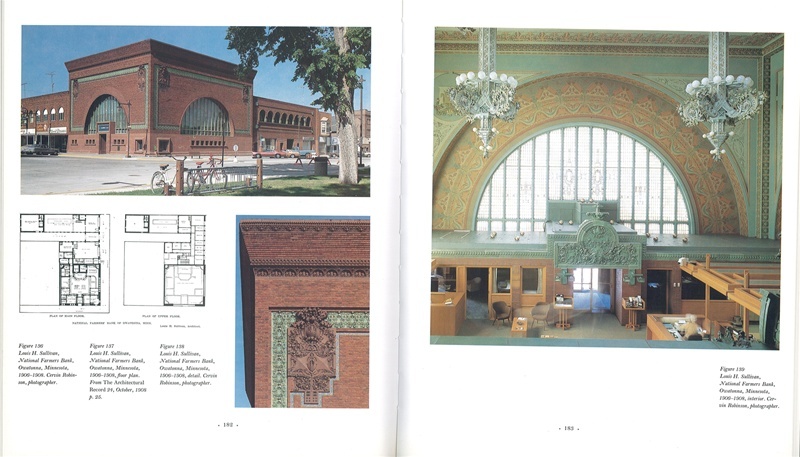 Sullivan’s genius for integrating form and structure with ornamentation is celebrated here in both contemporary and historical photos and in an enlightening text by leading architectural scholars. Color and black and white photos and drawings.